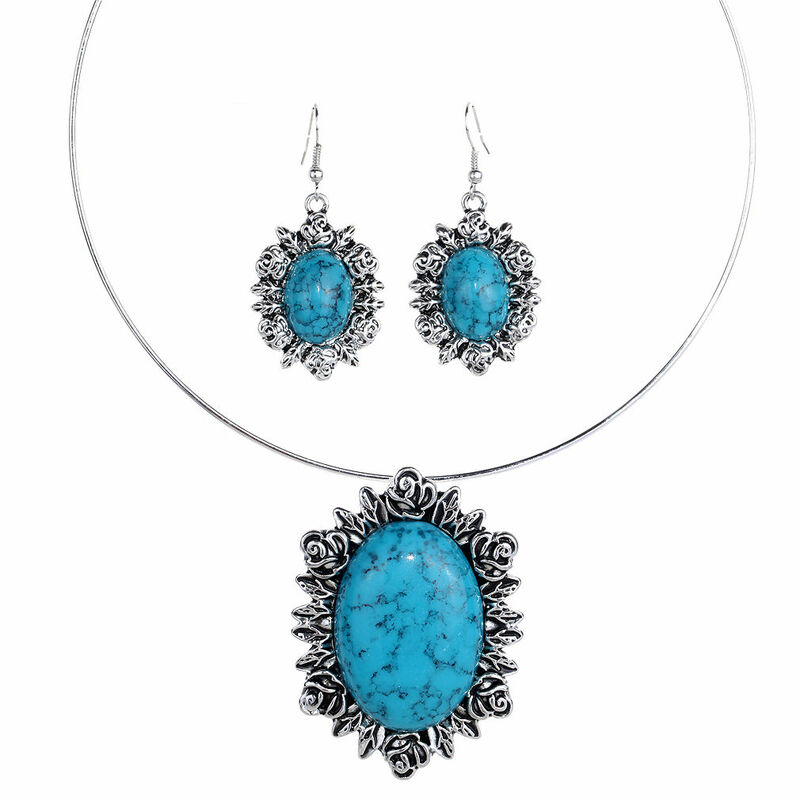 Designed with turquoise blue formica stones and floral design around the edges, Eliza Necklace Set will upgrade your look effortlessly. The set contains a necklace and matching drop earrings. Get fantatsic value when you buy your fashion necklace sets at Oz Bling.